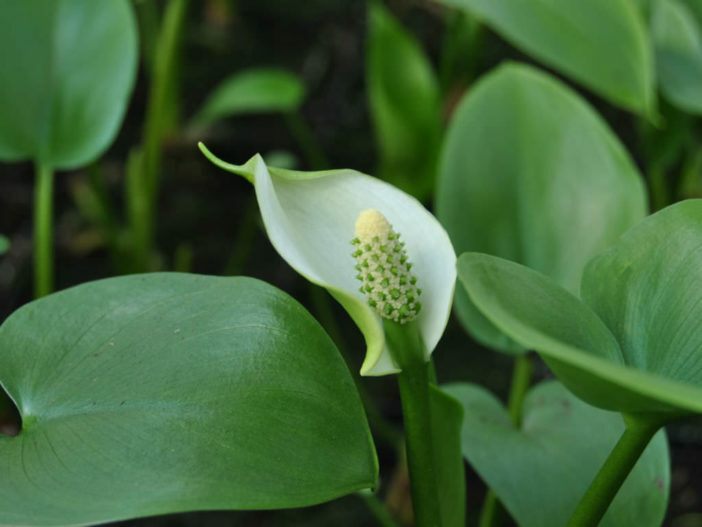 Calla palustris is a rhizomatous herbaceous perennial plant growing in bogs and ponds. The leaves are rounded to heart-shaped, up to 5 inches (12.5 cm) long and wide, on a up to 8 inches (20 cm) long petiole. 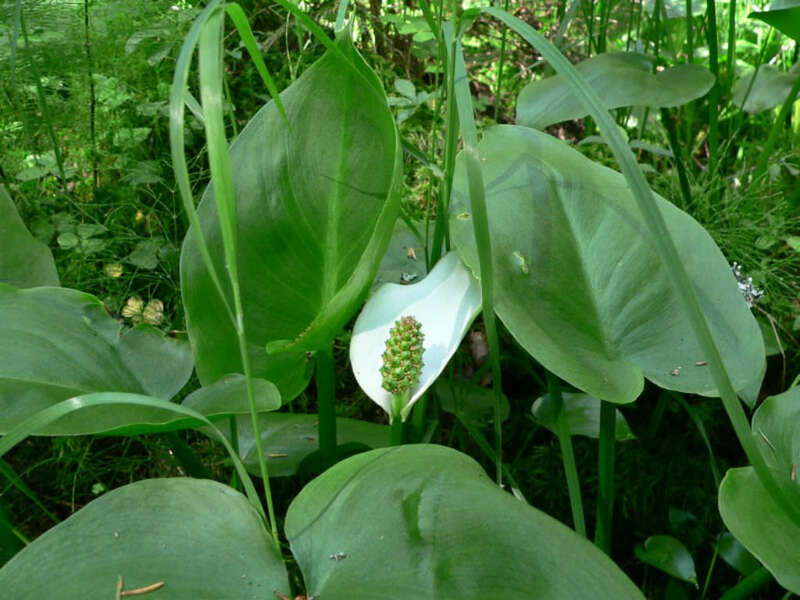 The greenish-yellow inflorescence is produced on a spadix up to 2.4 inches (6 cm) long, enclosed in a white spathe. The fruit is a cluster of red berries, each berry containing several seeds. USDA hardiness zone 4a to 7b: from −30 °F (−34.4 °C) to 10 °F (−12.2 °C). 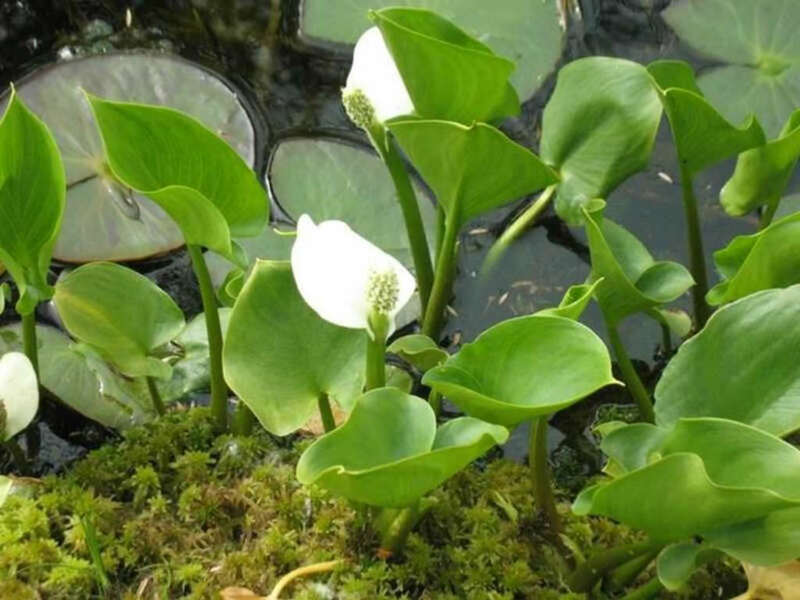 Water Arum is found in bogs and marshes as it is a plant of shallows, cold water, and wet soils. 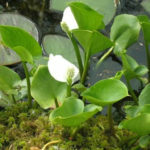 It can tolerate up to 2 inches (5 cm) of standing water and grows best in full sun. It grows from submerged creeping rhizomes that are horizontal near the surface of the soil. In summer, the growing shoots can be cut off, to encourage branching, and pushed into the soil to propagate. These perennial also frequently vegetatively reproduce by producing offsets through its rhizomes. 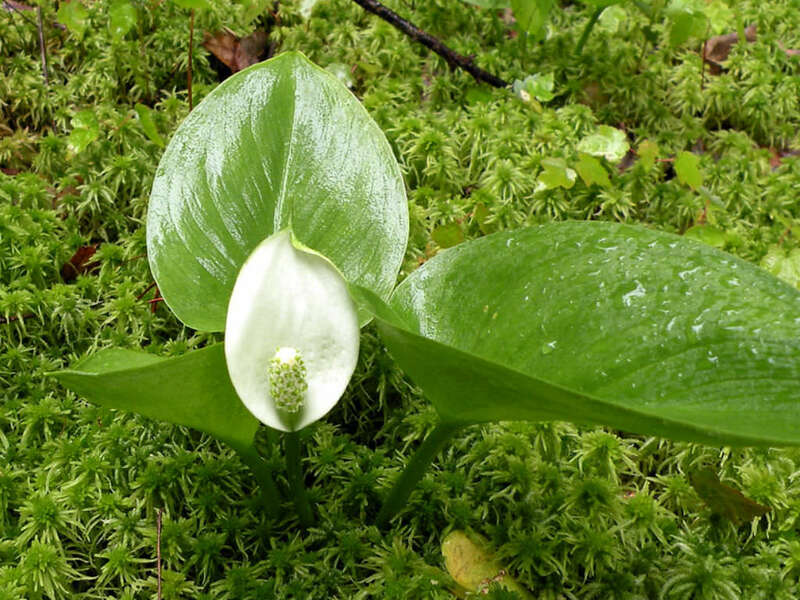 It can be grown both in wet soil and in marshy, muddy conditions with still, shallow freshwater. Plants tolerate close to full shade, but may become weak-stemmed and lean. In established ponds with good layer of sediment in bottom can be left to free float. A light mulch is necessary in extremely cold, snowless winters. 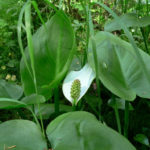 Water Arum will not survive a dry spell… – See more at: How to Grow and Care for Water Arum (Calla palustris). 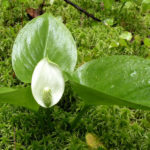 Native to cool temperate regions of the Northern Hemisphere, in central, eastern and northern Europe (France and Norway eastward), northern Asia and northern North America (Alaska, Canada, and northeastern contiguous United States).